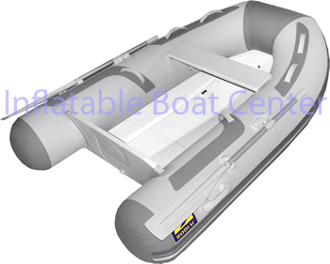 The Zodiac 2018 Cadet 300 Compact RIB rigid hull inflatable boat has been very popular among our sailors and cruisers heading north. With a fiberglass hull, significant carrying capacity, and lightweight package this boat will take care of the crew while being easy to store on deck or on davits. Having all of the key Zodiac Cadet features and plenty of room for a generous crew, this boat will be a good choice when weight is a factor. Hoist it on to deck and fold it down into a low profile storage bag to retain visibility and simplicity! 84" X 39" X 13"